Salem, North Carolina was settled beginning in 1766, as an urban center to serve Moravian settlements dating from the 1750s what is now Forsyth County. When the new county was established in 1849, the town of Winston, just north of Salem, was established as its seat. Winston was named in 1851 and incorporated in 1859, and it soon became the economic powerhouse of the region, its growth quickly overshadowing the little Moravian town of Salem. Winston and Salem merged in 1913, and the “Twin City” entered the 1920s as the most populous urban center in North Carolina. A boom town based on tobacco and textiles, Winston-Salem in some ways hit its peak in the 1920s, with the construction of the Reynolds Building downtown, and the growth of new residential districts like Ardmore and Washington Park. The City Market, a centralized public market downtown on North Cherry Street. In fact, many chain grocers had locations within the market over the years. This was a fairly common arrangement in cities that had public marketplaces of this sort. The presence of company stores in the assorted textile mill villages and the worker’s residential areas created by the R.J. Reynolds Tobacco Company and others. The tightly-regulated economy of the Moravian settlement in Salem, which still existed to some extent even after the merger of the two cities. Former A&P, 900 West First Street. Recently demolished for stadium construction. Eight A&P locations were scattered around the city in 1925, most of them in or very close to the former central business district of Winston, which was now serving as the downtown of the merged city. 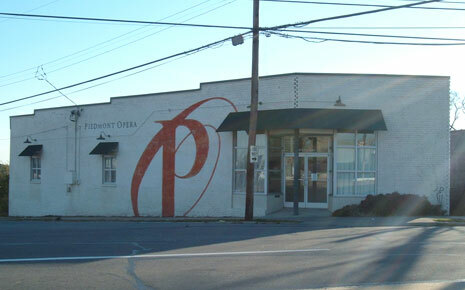 One of A&P’s locations was inside the City Market on North Cherry Street. Most of the rest were the small storefront locations typical of the time, with no off-street parking. These stores often sold only dry grocery items, with no meat or produce at all, or perhaps a very small selection of perishables. By 1930, A&P had increased its store count to twelve units, including two new units in the Waughtown area south of downtown. There were also new locations in the West End shopping district, in a new streetcar strip at First and Hawthorne, and north of downtown on Patterson Avenue. Being fond of short leases, A&P opened and closed numerous branches during the early 1930s, but by 1935 had eleven locations in the city, only three of which were in the same space they’d inhabited in 1930. Things would change dramatically for A&P by the end of the decade, however. Piggly Wiggly was the only other chain represented in the city in 1925, with one location downtown on North Liberty Street. The chain added another store by 1930, on Burke Street, but both were closed by 1935. 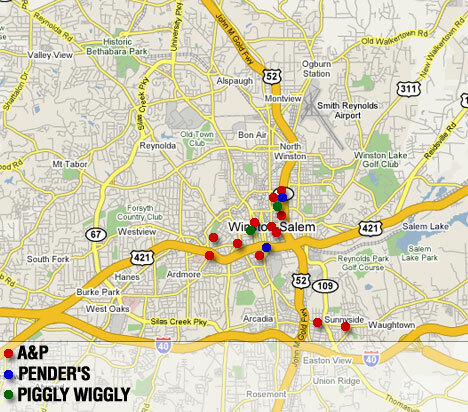 Kroger was a relatively minor player in Winston-Salem through the 1930s. Its first location opened in 1936, alongside A&P in the City Market. By 1940, this remained Kroger’s only Twin City location. Perhaps Piggly Wiggly suffered due to competition from the new “yellow front” stores opened by the David Pender Grocery Company of Norfolk, which joined A&P on North Patterson Avenue and also opened a branch on South Main Street downtown during the late 1920s. By 1935, though, only the Patterson Avenue branch remained. But Pender’s had big plans in mind. Inconveniences, says the manager, are eliminated at the Super Market because the customer is his own clerk. If he wants to rush, he can rush, and if he wants to browse, he can browse contentedly, without a hurried clerk to egg him on. The entire center of the store is devoted to the stock islands, none more than shoulder high. Every article is completely visible, and no reaching and stretching is necessary. Along the right side of the store are vegetable, fruit, and produce bins, with attendants on hand for weighing and wrapping the packages. The meat department will be found along the rear wall, with modern refrigerated show counters and experienced attendants. Dairy products, fish, poultry, and fresh meats of all kinds will be on sale here. In the front, along the right side, is the candy, cigarette, and coffee department. When the customer has completed his purchases, he leaves the store through one of the aisles between the checking counters, where cashiers check purchases. Pender’s was not the only chain to catch on to the supermarket concept, which had initially been an innovation primarily among independents. In the late 1930s, the Great Atlantic and Pacific Tea Company closed half its stores nationwide as it consolidated and converted to the new format. 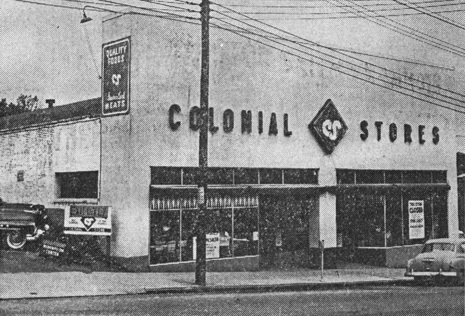 In Winston-Salem, A&P’s eleven stores in 1935 were down to five by 1940. The City Market location was still open, as were smaller stores on South Main and North Chestnut, but the rest were replaced in late 1938 by one supermarket downtown at 538 North Liberty. A second would follow within a few years. I worked at the Big Star on Cherry Street in the 40’s during the war while in high school and the opening of the Colonial at Cloverdale and Miller later about 1950.